John McCormick writes: like Pete Sixsmith, I was at Goodison that night. Like Pete Sixsmith I condemned Jimmy Hill for his actions, especially his ‘holier than thou’ attitude afterwards. But, like Pete Sixsmith, I’m old enough to know it serves no purpose to harbour grudges against clubs or fans. It’s better to share some decent beer with them in a decent pub because, when it comes down to it, we supporters are pretty much the same in our hopes, our passions and our disappointments. And maybe in our genes as well; my aunt and uncle moved to the Midlands many, many years ago and there’s a good contingent of McCormicks down Coventry way. So, like Pete Sixsmith, I hope that those Sky Blues supporters who have kept their faith and regularly make the trip to the Ricoh manage to get their club back. 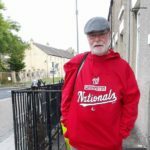 In January 2012 I wrote a piece in which I rejoiced at City’s demise as they slid out of the Championship and wished all kinds of awful things on them – plagues of locusts, outbreaks of boils, takeovers by American hedge funds – in what, on reflection, is not a piece that I am particularly proud of. City supporters have had an awful time recently what with the hedge fund part coming true and their owners making Messrs Ashley and Short look like enlightened occupants of the boardroom. They were exiled to Northampton for a season, saw their stadium taken over by a London rugby union club and they even dropped into League Two before coming back up via the play-offs. So, after a that brief salvo in the opening paragraph, no more mentions of the events of 41 years ago and no more gloating at City’s demise. I have empathy with their loyal band of followers and hope that they can sort out the problems that have beset their club for the past six years. And so on to the Ricoh Arena, opened in 2005. It’s on the edge of the city, is owned by Wasps, a rugby union club that was based in London, played at Wycombe Wanderers and who bought out the principal shareholders in November 2014. City now became tenants in a ground that had been built for them but which was never loved by the support. Crowds dropped from an average of 22,000 to just over 9,000 while Wasps regularly attract crowds of 20,000+ of braying, sheepskin coated rugger types. My one and only visit to this stadium was at the start of the 2006-07 season. The Drumaville Consortium had taken over, a new era was promised and optimism was high after the embarrassment of the previous year. 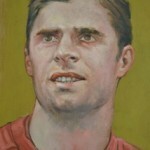 We awaited a new manager and Chairman Niall Quinn stepped up to run the team. Ben Alnwick; Rory Delap, Kenny Cunningham, Steve Caldwell, Danny Collins; Grant Leadbitter, Tommy Miller, Dean Whitehead, Liam Lawrence; Daryl Murphy, Stephen Elliott. Subs; Darren Ward, Stephen Wright, Robbie Elliott, Jon Stead (Murphy 76) Kevin Kyle (Leadbitter 80). Andy Marshall; David McNamee, Marcus Hall, Elliott Ward, Matt Heath. Mickey Doyle, Stephen Hughes, Chris Birchall, Dele Adebols, Stern John, Gary McSheffrey. Subs; Luke Steele, Andrew Whing(for McSheffrey 86) Kevin Thornton(for Birchall 74) Jay Tabb, Don Hutchison (for Adebola 67). My memories of the game are vague. 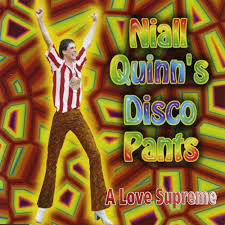 Daryl Murphy put us ahead in the 52nd minute and the strains of Niall Quinn’s Disco Pants reverberated around The Arena from the 5,000 Sunderland supporters there and silencing the 17,000 City fans. But they came to life twenty minutes later when Stern John (a good signing by Roy Keane in the days when we brought in decent players) equalised and celebrated loudly seven minutes after that when Gary McSheffrey was left unmarked to score the winner. We consoled ourselves by roundly booing Don Hutchison, who had come on for Adebola and who showed his undoubted quality to enable City to take control of the game. My first visit to Highfield Road does appear in my memory bank. It was 51 years ago, on the 29th October 1967, a rainy one if I remember rightly. I remember it because we scored two penalties and it was the Match of the Day game that night. In the 60s MOTD only showed one game and the fixtures had to be shared out between the clubs. 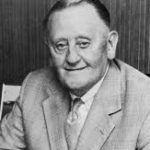 The Football League, with its belligerent Chairman Bob Lord and its truculent secretary Alan Hardaker, were reluctant to allow any television exposure and the chances of live games were as remote as The Beatles ever breaking up. The TV game was chosen by the League and the BBC could not publicise it until 4.45 on the afternoon of the game so that nobody would be tempted to stay in and not go to the actual match. Of course, the presence of large BBC vans in the vicinity of Highfield Road/Roker Park/ White Hart Lane might just have given the game away……both metaphorically and in reality. It also meant that if you wanted to watch the programme, you urged the coach driver to put his foot down so that a reasonable bus could be caught from Darlington in order to arrive at the parental home and sit in front of the Ferguson to watch it at 10.05 (no video recorders, DVD or Sky + in those black and white days) so that would mean the 9.30 United out of the bus station and then a quick dash down Pearl Street into Drybourne Park. 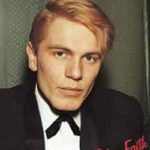 By going to the game, I had already missed Juke Box Jury, with Adam Faith, Moira Lister, Rita Tushingham and Johnny Devlin (no, me neither) on the panel, then William Hartnell as Dr Who followed by Jack Warner as the world’s oldest rozzer, Dixon of Dock Green. 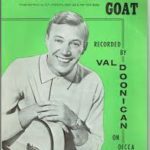 Val Doonican brushed off his best sweater to host his show and may well have sung Paddy McGinty’s Goat in the presence of his guest star, David Nixon. After this televisual feast, we had The Lucy Show with Lucille Ball and George (Say goodnight to the folks, Gracie) Burns and a ten-minute news programme, where the news may well have been read by Corbett Woodall, Robert Dougall or Kenneth Kendall. For the younger readers, Grandstand was the Saturday afternoon sports programme. 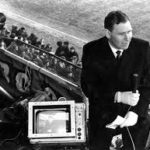 On this Saturday there was Horse Racing, Motor Racing and Rugby League, which would feature three of the most iconic commentators of all time in Peter O’Sullivan, Murray Walker and Eddie (Aye, he’s a big lad) Waring. Highfield Road had 30,004 in for our visit that day. 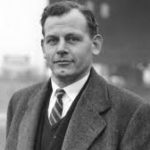 Ian McColl was our manager, while Noel Cantwell, the former Manchester United full back had taken over from He Whose Name Shall Not Be Mentioned for the home team. 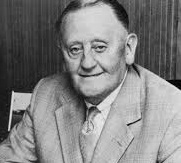 John Tudor, who later moved to The Sports Direct and formed a partnership with Malcolm McDonald, opened the scoring in the 12th minute when our defence deigned to run away from the ball. Neil Martin equalised from the spot seven minutes later when George Kinnell was hacked down by Lewis and he put us ahead in the 61st minute when he was brought down by Knapp in the box. This one had to be taken twice as Billy Hughes strayed into the box and was spotted by a linesman. Martin, an impressive figure who would do well nowadays, was not fazed and stroked it home. A rare away win was on the cards until the 76th minute when Tudor did a triple salko with turn when challenged by Cec and Mr Darlington awarded the third spot kick, which Lewis converted. We ended up in 15th position, sandwiched between Burnley and Southampton, while City dodged relegation by a point; had Tudor not done his aerial pirouette, they may well have gone down. I hope Saturday’s game goes off without any rancour and that both clubs can recover from wretched ownership and years of under achievement and that our recovery is quicker than theirs. Discopants video published on Youtube by clarkysafc09 Sep 2010. MOTD sequence published on Youtube by covonthebox Aug 2013. Sir Niall picture by kind permission of Owen Lennox. If there is any copyright claim, not answered by ‘fair use’ exemptions, on the video and images used to illustrate this report, please make us aware and we will add credits or remove as requested. 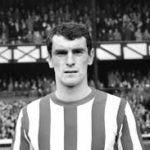 Of course we wish Coventry supporters well – after this weekend – but, at the risk of prolonging any remaining resentment in the minds of some Sunderland fans, wasn’t it also at Coventry that Colin Healy had his leg badly broken by an atrocious tackle which also went unpunished? Featured on match of the day, by monday evening’s local news it was said to be too horrific to be shown. Should we hate Bury for what they did to Brian Clough? How far back before we stop? What is and isn’t culpable? b) only a few seasons before that Nicky Summerbee ended the career of Steve Froggatt with an awful challenge during a fixture between the two clubs at Highfield Road. This also went unpunished. Entirely the fault of one individual there.